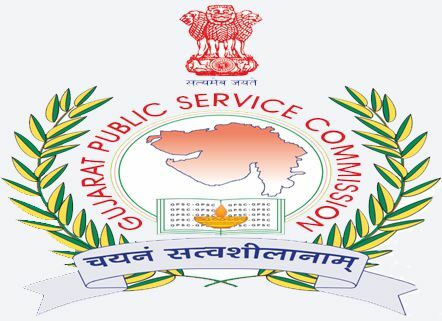 GPSC Assistant Professor Admit Card 2019: Gujarat Public Service Commission soon going to organize the Assistant Professor examination 2019. The examination will be held in many examination centers across the Gujarat state. All the hopefuls applied for assistant professor jobs in Gujarat can get ready to attend the examination. Before going to attend the written test the competitors must remember to download GPSC Assistant Professor hall ticket 2019. The hall ticket will be shortly accessible on the GPSC website, gpsc-ojas.gujarat.gov.in. Aspirants can download GPSC Assistant Professor admit card and keep it safe to carry to the examination. The hall ticket is the prior required document to carry to the examination. Aspirants will be allowed to continue with the test only after verifying the admit card. More details about GPSC assistant professor admit card release date, downloading process, and other details furnished in this article. Online applications are invited for the post of Assistant professor of different subject for Govt. Arts, Commerce and Science Colleges, Class-II, (total 275 posts in total 19 advt.) under the Education department, Gujarat State. Advt. No. 81/2018-19 to 99/2018-19 during date 15/10/2018. Gujarat Public Service Commission (GPSC) is the state government organization that monitors the recruitment process for various government-affiliated organizations. GPSC recently advertised the assistant professor notification for 275 posts. Aspirants seeking to get the government jobs have applied for GPSC assistant professor posts from 15th December to 31st December 2018. Screening of suitable candidates will be done through the preliminary examination and interview rounds. Aspirants qualifying the selection rounds will be finally shortlisted for assistant professor posts in Gujarat. Hopefuls competing for the Gujarat Assistant Professor written test can get their hall tickets by visiting the official website, gpsc-ojas.gujarat.gov.in. The hall ticket/admit card link will be activated before 10 days of the examination (tentatively). Hence the competitors can stay checking the GPSC website continuously to check the updates regarding the hall ticket. Soon, the organization will let the competitors know about admit card availability information. Search the GPSC Assistant Professor Hall Ticket download link in organization website. Check the information in Gujarat Assistant Professor Hall Ticket 2019.